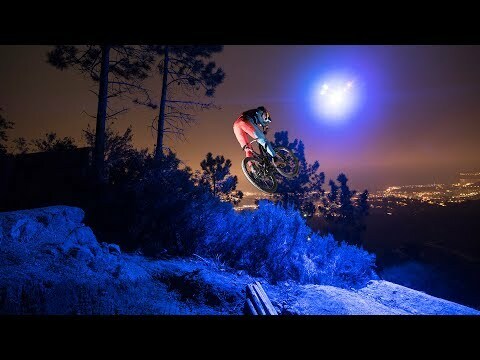 Loic Bruni’s Night MTB Ride on a Trail lit by a Drone! Red Bull bike videos. Follow Loic Bruni down some epic New Zealand single track as he charges down the trail in the dead of night, with a drone beaming light down on him from above, so amazing!